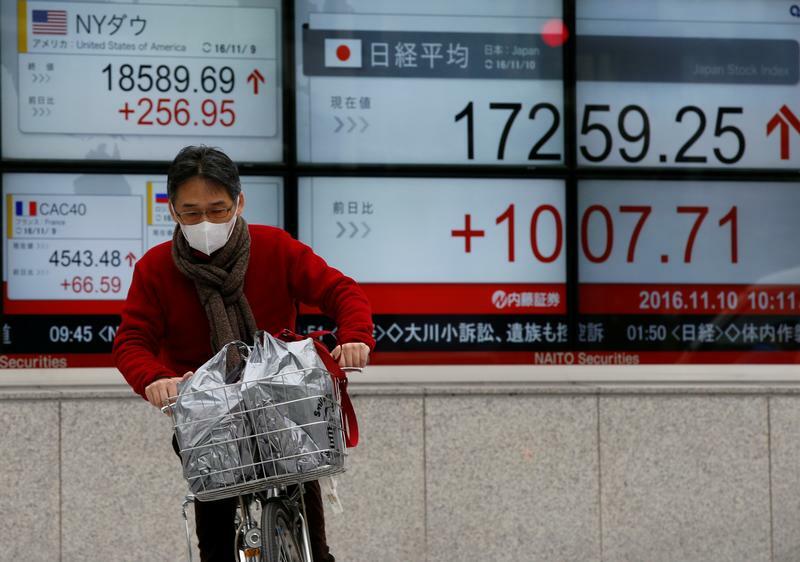 The yen and Japanese stocks whipsawed after the U.S. presidential election. At least for now it looks as if Tokyo will be spared a painfully strong currency. That still leaves the challenges of rising protectionism, economic uncertainty and a weaker U.S. commitment to the region. Japanese stocks rebounded on Nov. 10, recovering from losses made in the previous session after Donald Trump won the U.S. presidential election. By 1030 a.m. in Tokyo (0130 GMT), the Topix index had risen 5.2 percent to 1,369, more than erasing the previous day's drop. Nomura, Fujitsu and Hitachi were among the best-performing major stocks, each rising about 9 percent. The yen traded at 105.5 to the dollar. It had crashed as low as 101.2 on Nov. 9. Masatsugu Asakawa, Japan's vice finance minister for international affairs, said Tokyo would "take any necessary step" if "speculative moves" in the currency markets continued.